Thrifty tips, mixes & make-your -own recipes that will put more money in your pocket, and time on your hands! This upcycled clothes pin bag is not only cute and functional, it also only took about 20 minutes to do. (And I didn't use a sewing machine!) To hang on clothes line, just hook the shoulder staps over the line and refasten the straps. Then just reach into the bag to grab your pins! My hubby is rebuilding my line, so as soon as it's done I'll snap a photo for you on the line! 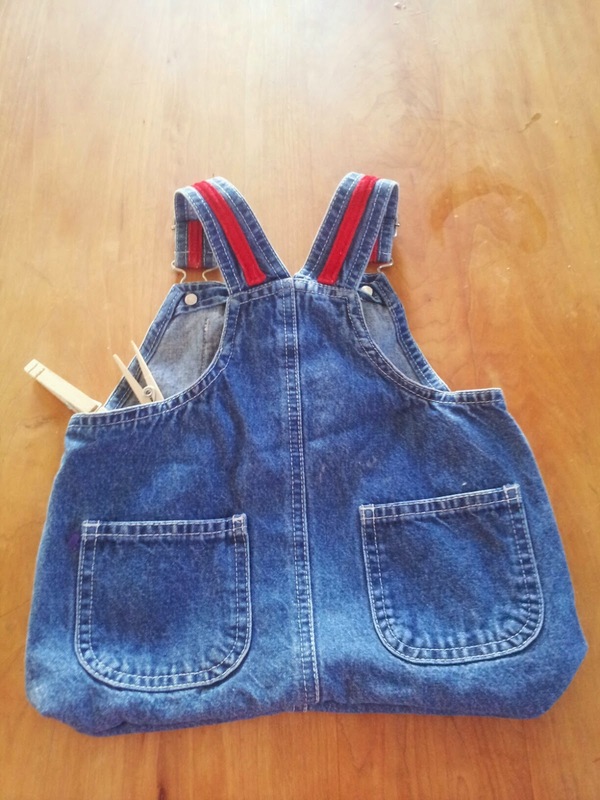 Bought a pair of childs denim overalls for $1 at a thrift store. Cute off the legs of the overalls. 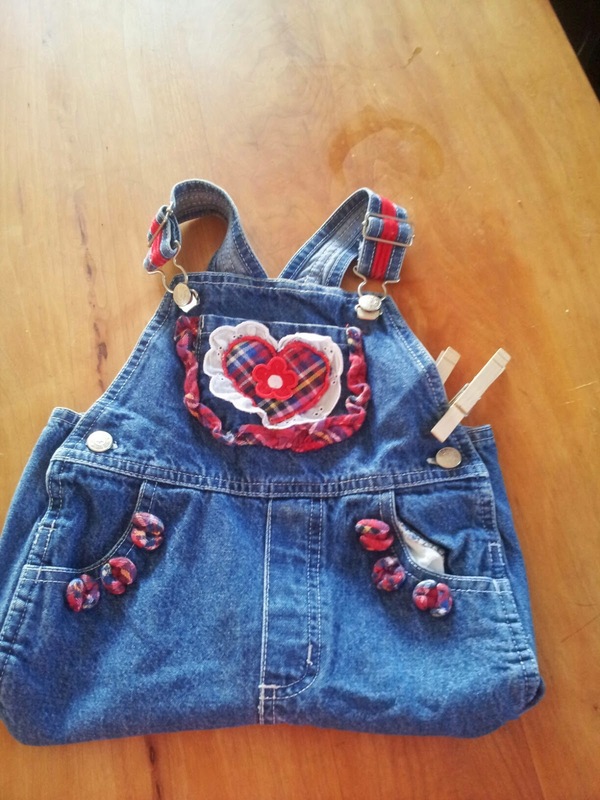 Turned the overalls inside out. Turned up cut edge all the way around to my desired size for the bag. Straight stitched across the bottom sewing the two sides together. Hello! My name is Jan, and I am the chick behind Tip Garden! I grew up a Kansas farm girl who now lives in Virginia. I am married with 3 kids. I work 2 jobs outside the home plus run 2 blogs. Sharing easy, time, & money saving shortcuts for busy people is my passion!